Nintendo has announced that Donkey Kong Country: Tropical Freeze is coming to the Nintendo Switch. Originally released on the Wii U, the game lets players team up with buddies to master their moves, from Diddy Kong and his jet pack to the fresh addition of Dixie Kong and her spinning ponytail. Journey across 6 distinct islands filled with dynamic levels and non-stop action. Reclaim the now-frozen DK Island from artic invaders. The Switch version includes the original game, plus a new beginner-friendly mode that lets you play as surfing simian Funky Kong. 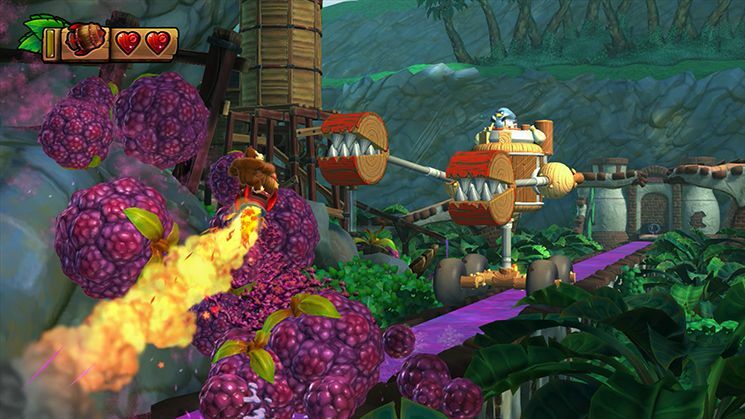 Funky Kong can double jump, hover, perform infinite rolls and even perform infinite underwater corkscrews. Donkey Kong Country: Tropical Freeze launches for Nintendo Switch on May 4.